We might as well ask what this really means: What is boring photography? I do think that there is such a thing. But it’s not tied to the visual drama in the pictures. In other words, I vehemently reject the correlation between a lack of visual drama and something being boring. Phrased alternatively, photographs with a lot of visual drama can still be incredibly boring, while the most minimalist pictures can contain large amounts of wonder (however you want to define that “wonder”). If you look through the photographs of Medebach on Wittmar’s website, you might get an idea of what I’m talking about. Medebach seems like the kind of place very few people would want to live, let alone photograph in, a place that indeed looks perfectly dreary, if not outright dreadful. The photographer’s approach to her hometown conforms to what most non-Germans typically think of as “German photography”: Carefully organized and seemingly distanced from its subject matter, using muted colours. Everything looks really neat and really clean, even when there’s snow on the ground. It is exactly this combination of dreariness, neatness, and the photographer’s seeming unwillingness to inject any kind of visual drama into the mix that makes Medebach work the way it does. The photographs’ compositions are carefully considered, allowing the viewer to study the images carefully, looking for traces of what might be going on here. There are no people in any of the photographs. What could the people living there be possibly up to? Keep looking, and find yourself getting more and more antsy: What’s going on here? How can people live this way? After some careful inspection, you will find traces of individuality, little efforts to pretty up the bleak surroundings – a cut-out sign showing someone BBQing in the window of a (shuttered) butcher shop, say. But those little injections of something not quite so bleak only end up achieving the opposite effect, making Medebach even more dreadful: There just isn’t enough of them, and in any case, they only reinforce the general feeling of dreariness. Given that so many of us live in places that have a Medebach feel to them – isn’t America’s Suburbia an even more extreme form of Medebach? – why would we want to look at pictures of them, when all we’d have to do is to look out of the window? For a start, we usually tend to not engage with the places we live in all that deeply. We do not look outside of the bubbles of our homes (in which we’re keeping ourselves entertained by TV or the internet). 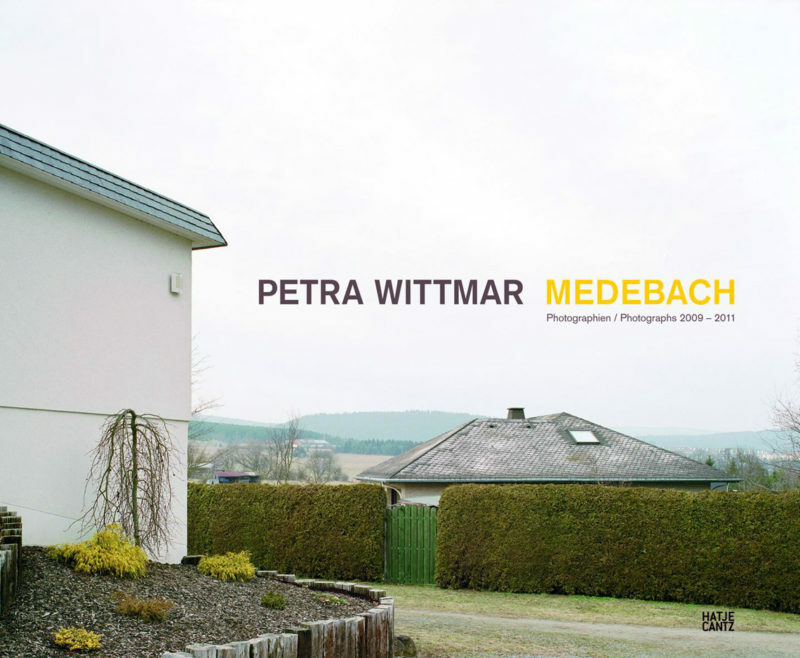 Furthermore, Wittmar’s Medebach is a piece of fiction, just like every body of photographs. The “real” Medebach must have people living in it, people that actually can be encountered in the streets, and I’m sure there are periods of sunshine as well. If you don’t like the term “fiction,” then maybe the term “amplification” might be acceptable. As a photographic artist, you pluck certain notes from the world, and you then let those notes work together, to create your own sound. If Alec Soth is the photography equivalent of Neil Young (as I suggested last year), then for Petra Wittmar I’d pick Boards of Canada (listen to an example here). Just like music, photography needs to be engaged with, with the viewer accepting its terms at least for a little while. Medebach unfolds itself slowly at first; but once it does, it projects tremendous power.